Most people play the lottery with a hope that they will hit the jackpot. Avid lottery players will stay glued to their television sets hoping the ticket in their hands is the winning one. In an Ironical twist, a national lottery winner is yet to come forward to claim the prize. By the way, we are not talking about a single or double-digit figure but rather a £306,982 lottery prize! 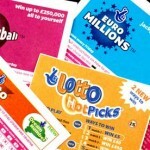 National lottery officials say that the winner is from Rushcliffe Borough and the player won the prize on November 19. The ticket matched five of the winning numbers plus the bonus ball number to walk home with the lottery prize. The winning numbers for that draw were 1, 29, 31, 32, 34, and 36 while the bonus ball number was 45. The clock is ticking for the lottery winner as the National lottery has given an ultimatum date of May 17, 2012 as the last date for the ticket holder to claim the prize. 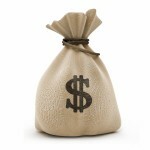 Camelot usually gives the lottery prize winners a six month allowance for them to collect their winnings. 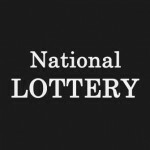 After the six months, the lottery winnings plus the accumulated is directed to the national lottery good causes fund. If you think that you are holding the lucky ticket contact the National lottery officials directly before time runs out on you. The national lottery has brought forward many jackpot winners. You can be the next jackpot winner through playing the National lottery online. Winners of online lottery are informed via email so you don’t have to worry about missing out on your lottery prize. Good luck while playing lottery online.